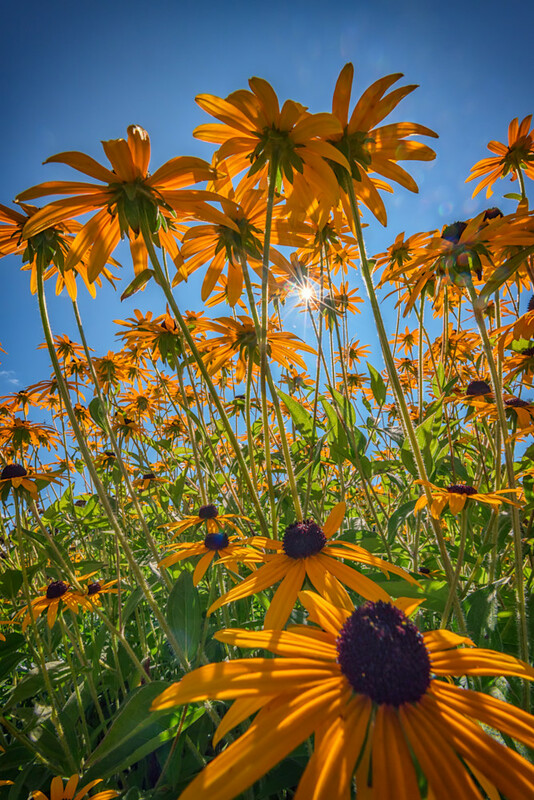 A patch of black-eyed susans, whose scientific name is Rudbeckia hirta, basks in the summer sun. A patch of black-eyed susans, whose scientific name is Rudbeckia hirta, basks in the summer sun. The black-eyed susan, also known as the gloriosa daisy, is a flowering plant in the sunflower family.